If you haven’t heard of Table Scraps where have you been hiding for the last few years? 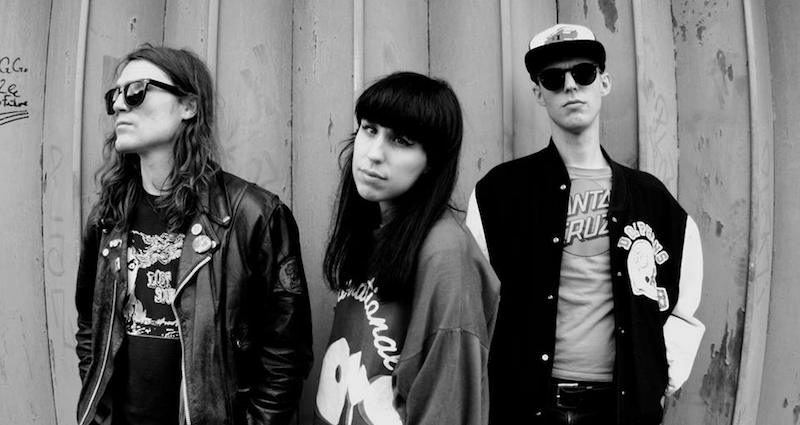 Born through destiny and a mutual love of rock’n’roll by childhood neighbours Scott Abbott and Poppy Twist, Table Scraps have been thrashing out their lo-fi garage-punk since the years that teenage angst spurred their appetite for creativity. Previously sharing a stage with the likes of Fat White Family, King Tuff, Idles and the Buzzcocks, the band quickly gained critical acclaim and a deserved reputation as Birmingham’s ‘one’s to watch’ in the wake of their deliciously dark debut album, More Time For Strangers. With the extra layer of bassist TJ added in 2017 and the release of their latest album Autonomy via Zen Ten Records in February, the band reached new heights with their reverb-drenched raw energy and were personally invited to open for stoner legends Monster Magnet on their 2018 European tour. Autonomy proved to be a powerful slab of short, sharp, punk infused fuzz, seizing the abrasive DIY ethos that the trio have mastered. An accomplishment resulting in lead single ‘Sick of Me’ receiving airplay on BBC Radio 1, Radio X and BBC Radio 6 Music.